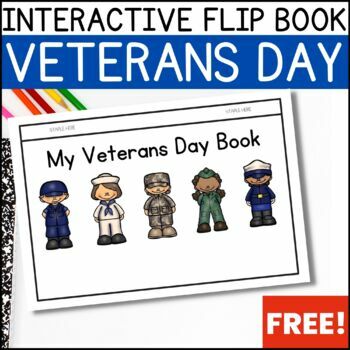 Teach your pre-school and kindergarten students about Veterans Day with this fun, FREE flip book! 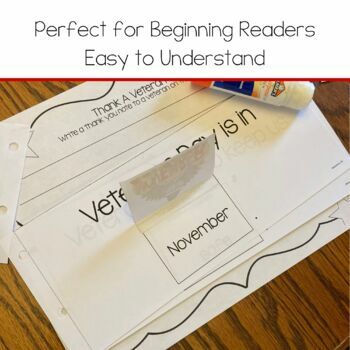 The book features 5 pages all about Veterans Day, with accompanying flippable pictures. 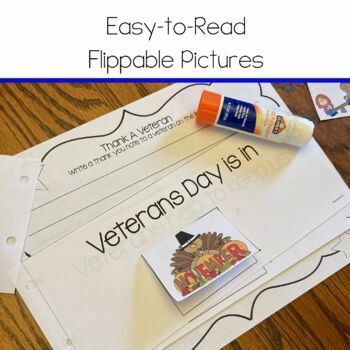 Cut and glue the picture flaps into the book pages to create an interactive, fun way to read all about Veterans Day. This is a great way to engage students as they read. The pictures are meant to correspond to words in the sentences. Students read the sentences, then lift the flap to reveal the word under the picture. +A 5 page flip book (the books are half page, so you get 2 books per print out for easier assembly!). +Picture flaps that correspond with the boxed words on the pages. 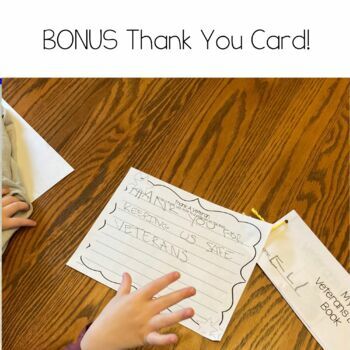 +A thank you note page for students to write a thank you note to a veteran. •	Look for the green star near the top of any page within my store and click it to become a follower!